Hashgraph is a virtual voting algorithm that provides a new platform for distributed consensus. Some of the features from Hashgraph is attributed to Blockchain. It is also decentralized, transparent, transactional, and flexible. However, it is a data-structure that is much faster and more secure than Blockchain. It is touted to be the future of distributed ledger technology. It’s inventor, Leemon Baird, the co-founder, and CTO of Swirlds, developed hashgraph as an alternative to Blockchain to overcome the constraints of speed, cost, and security. A decentralized network must have a group that arrives at a collective decision. This is called the Consensus Algorithm. The consensus algorithm is a decision-making process, in which all the members of the group unanimously make decisions for the best interest of the whole situation. This algorithm is riddled with loopholes, where a decision cannot be reached. This particular problem is called Byzantine Generals’ problem. The Byzantine Generals’ problem is an agreement problem that was coined after the Byzantine army. This problem happens when a group of generals that each command a sizable portion of the Byzantine army surrounds a city that is impregnable on all four sides. The groups need to be able to coordinate for a full on attack or retreat. So, even if one general tries the opposite strategy, the whole invasion plan will be compromised. This could happen when a traitor or a bad general who did not receive the strategy instructions, tell the other groups to retreat or attack, knowing that only a collective decision can win the war, or else they are bound to fail and lose the battle. The same situation can occur if the messenger between the groups is a traitor, and someone bribes him to give the wrong information; then the whole invasion plan can fall. The Blockchain provides a solution to this problem with the Proof of Work Protocol. A random hexadecimal value is appended to the original text. After that, they hash the text appended with the hexadecimal value and see the results. If the hash conditions are satisfied, they will send the messenger with the hash of the message. This process will be iterated until the desired result is achieved. If there is any intervention with the hash function properties, the hash gets changed drastically. But this process has a lot of loopholes. Firstly, the proof of work is inefficient, as it uses enormous power and energy from various resources to perform the mining. Next, miners will be looking for a way to solve the puzzle first and present their block to the network for verification. The Gossip protocol is used in Hashgraph to spread information through the network. This is done, every time a new transaction is communicated among the nodes. 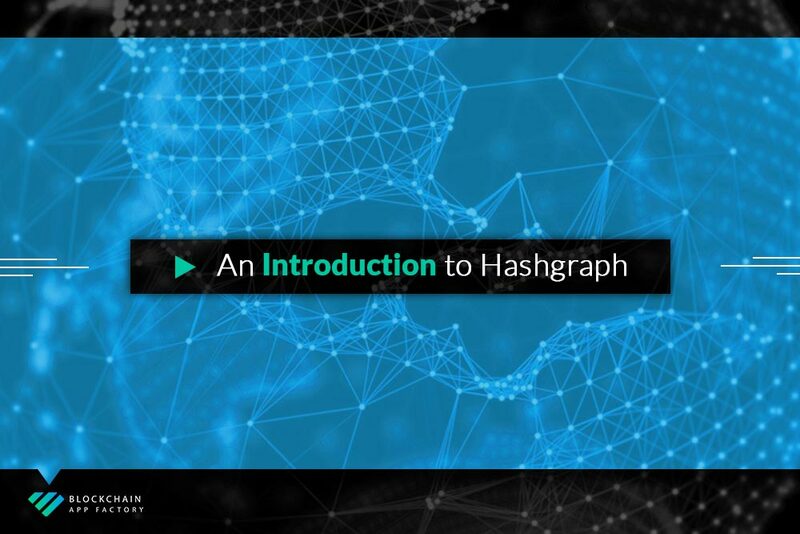 A hashgraph can be built and regularly updated when more information has gossiped between each node. There is no such thing as an untrusted or new entry of nodes in the network. This helps in thwarting off Sybil Attacks. When the hashgraph is ready, it is easy to identify which node will vote, depending on the gossiped information. This data can be used as an input for the voting algorithm to find out which transactions have reached the consensus stage. Hashgraph’s distributed consensus technology overcomes the Byzantine fault tolerance. It is mathematically proven that ⅓ of the nodes are incompressible so that the Byzantine is eliminated. Blockchain’s consensus is up to 7 to 15 transactions per second, whereas Hashgraph is limited to the bandwidth of the internet to 250K transactions per second. In Blockchain, a node is chosen to add or not add a transaction in a block and the order in which the transaction is supposed to be ordered. The End-user can perceive this as untrue. In hashgraph, the timestamp protocol is fair for all users. Hashgraph solves the scalability issue by scaling the number of transactions processed but does not scale with the number of nodes in the network. Hashgraph development and its underlying technology are well appreciated throughout, and no, it is not going to replace Blockchain, not yet. Hashgraph has the potential to pave the way for newer technologies soon.